Nylon holsters are cheap, and they are poor holsters! Will they work for the class, Yes, just make sure the trigger is covered and the grip of the gun doesn't fall down inside the holster. The kydex/plastic holsters are the best for the money. Uncle Mikes and Fobus can be purchased for around $20 or less. 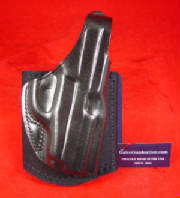 *** NOTE holsters from Sidearmor, Bladetech, Comptac and Alabama Holster are CUSTOM holsters, usually made to order. It takes several weeks to get them once ordered. DON'T FORGET... YOU NEED TO WEAR A STURDY BELT TO HELP SUPPORT YOUR HOLSTER! 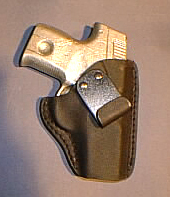 A good holster completely covers the trigger, yet the whole grip of the gun doesn't fall down inside the holster. 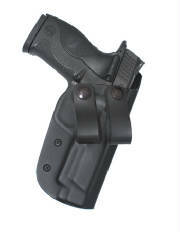 The J hooks keep the holster hooked to your waistband and belt, so it won't come out or slip down.